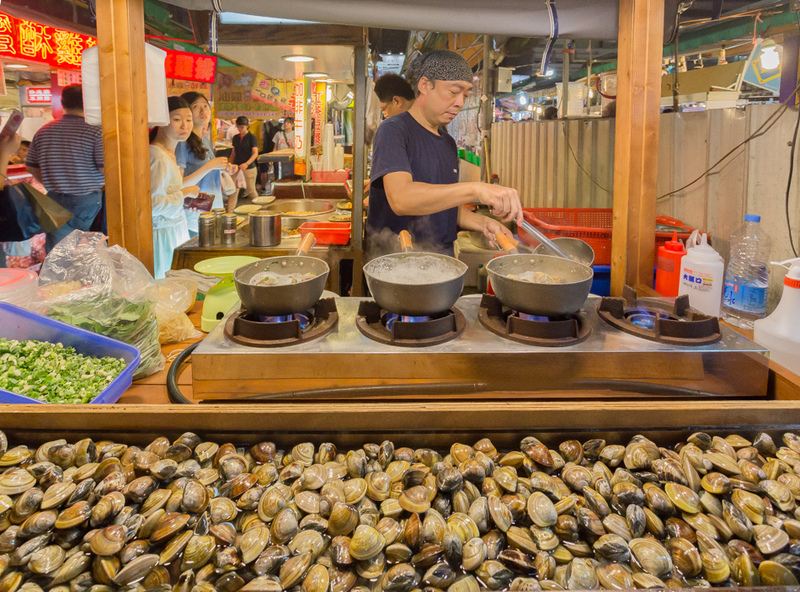 You can’t do Taiwanese street eats without heading to a night market, and City543’s comprehensive night market guide will ensure you hit up all the right sights and stands while visiting the island’s many night markets. When it comes to night markets in Kaohsiung, most tourists hear of the famous Liuhe. But the go-to night market for the locals is definitely Ruifeng. 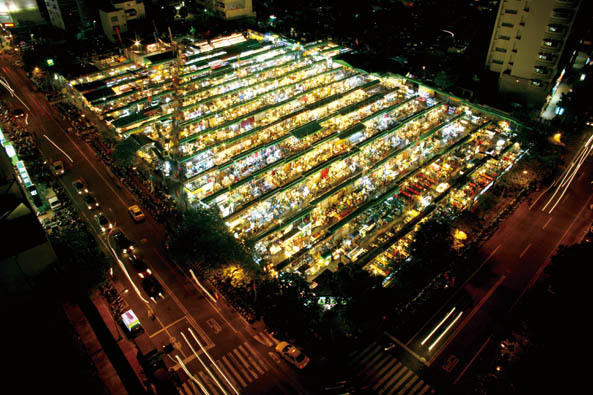 Unlike many large scale night markets like Taichung’s Fengjia Night Market, Ruifeng does not run along actual streets. Instead, rows upon rows of food, clothing and entertainment kiosks are piled in a condensed rectangular piece of land. And upon the entry of this wonderful maze of delicious food and shopping entertainment, here are eight stands you simply must try. 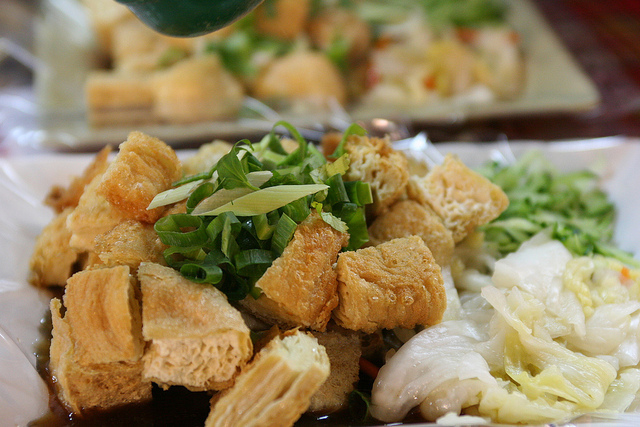 Mainly known for its stinky tofu and tofu skin, Shi Ji’s stinky tofu comes with fresh cucumber and pao cai (泡菜), and the tofu is deliciously seasoned with the perfect amount of pepper that is not too spicy, but just right. A small order is only NT$40, a large size is NT$55, and a mixed platter of both its famous dishes is NT$60. Cheap and delicious, Want Go has a 25 year history of serving customers in Ruifeng and have a long train of loyal fans. Thick, juicy slices of steak and crispy chicken can be cut into neat cubes and dipped into the runny egg yolk for a perfect bite. 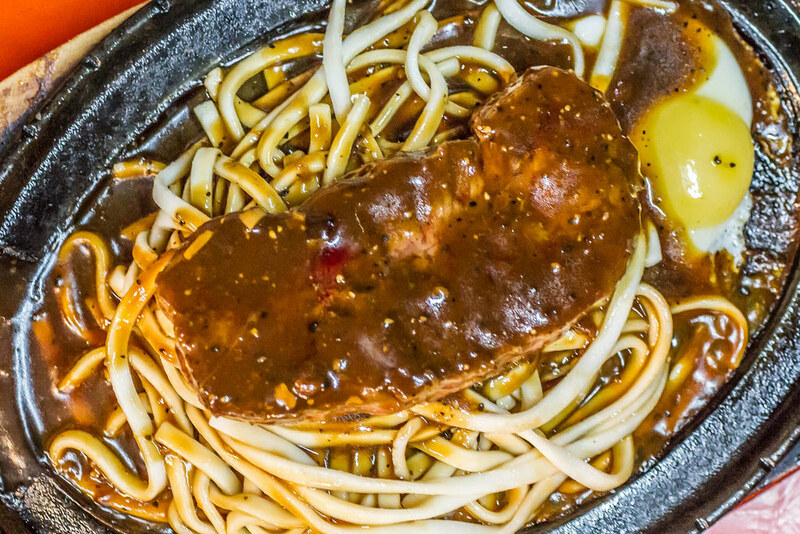 Then add in chewy noodles and well-seasoned sauce, and a great Ruifeng meal is set. Customers can watch the zhuang yuan gao being made on the spot in a fascinating process that involves pressing glutinous rice powder with peanut butter or sesame powder into a wooden mold and then steaming it. 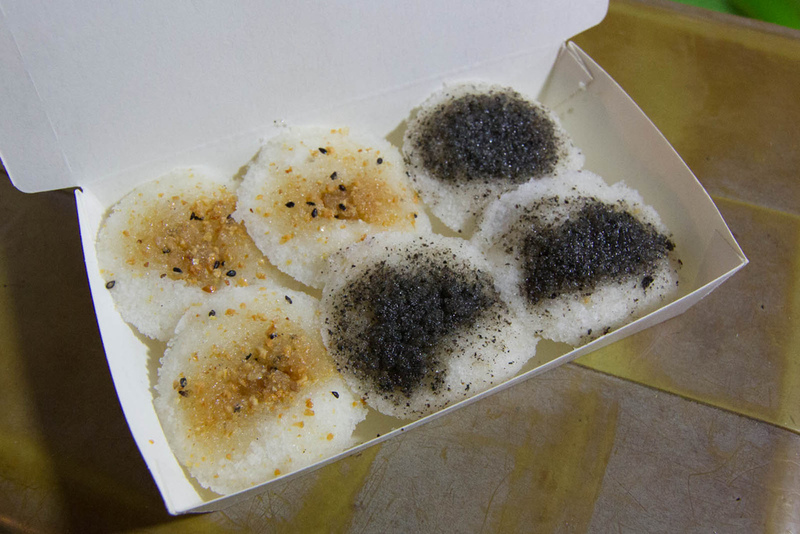 The rice pastries are served and are served piping hot and chewy for only one for NT$10nt and six for NT$50. Adding to the fun, the stand is fondly dubbed “The Beast Glutinous Rice Pastry”, as its owner bears a resemblance to the Beast (火雲邪神), an old but incredibly strong kung fu master from the movie Kung Fu Hustle. 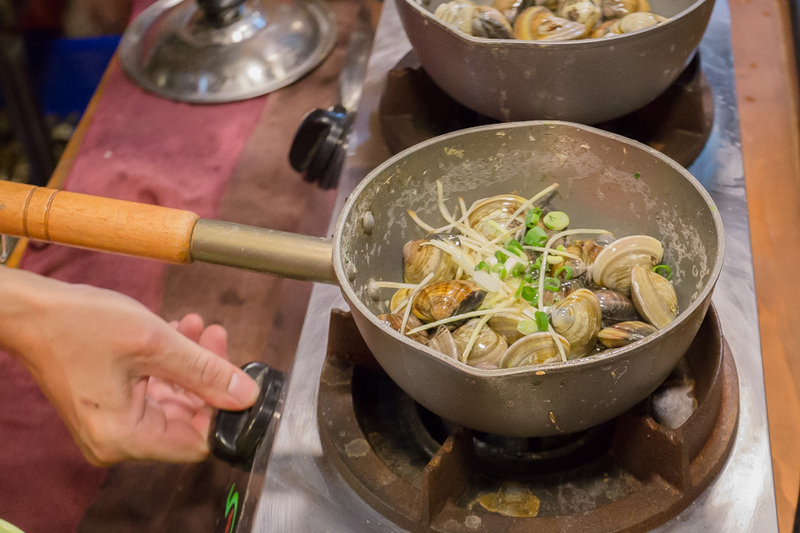 Cooked dry with ginger, basil, and some rice wine but no water, the clams are meticulously checked before the dish is served to customers. The clams are directly transported fresh from Taixi township every day to ensure the best quality. The flavoring really comes through on the clams, which taste slightly sweet and are quite chewy. One of the longlasting stands of Ruifeng, Ah Ji Shi’s Korean chicken skewers are abundantly seasoned with Korean barbeque sauce and its house special chili powder. 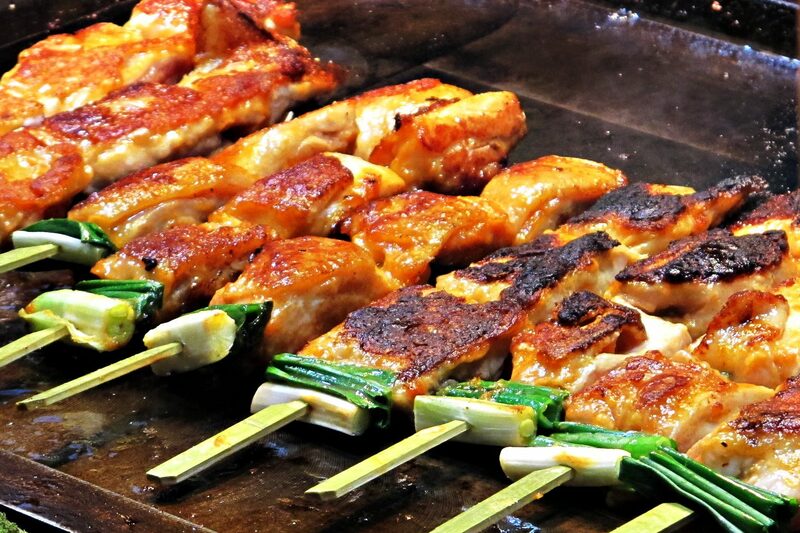 The skewers are cooked on a teppanyaki rather than a grill and are incredibly tender and fresh. Lightning and Ice’s Taiyaki is slightly different from the original Japanese fish-shaped cake filled with red bean or custard. The cake mold, made and popularized in Korea, creates a pouch shape where the head of the fish cake should be. The pouch is then used to hold ice cream, which the owners also had delivered from Korea. 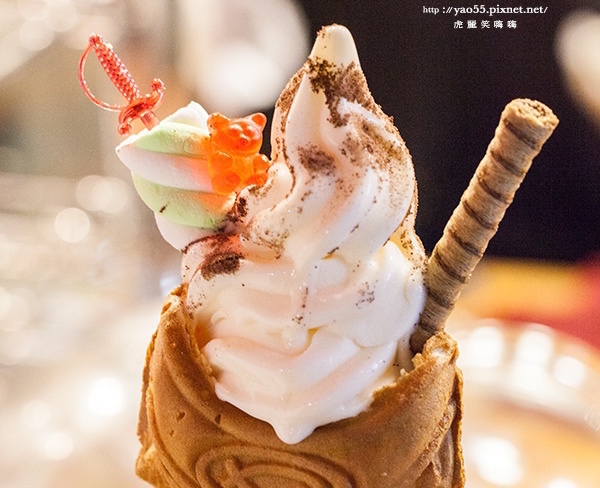 The ice cream is then decorated with a cute chocolate cookie stick and marshmallows. 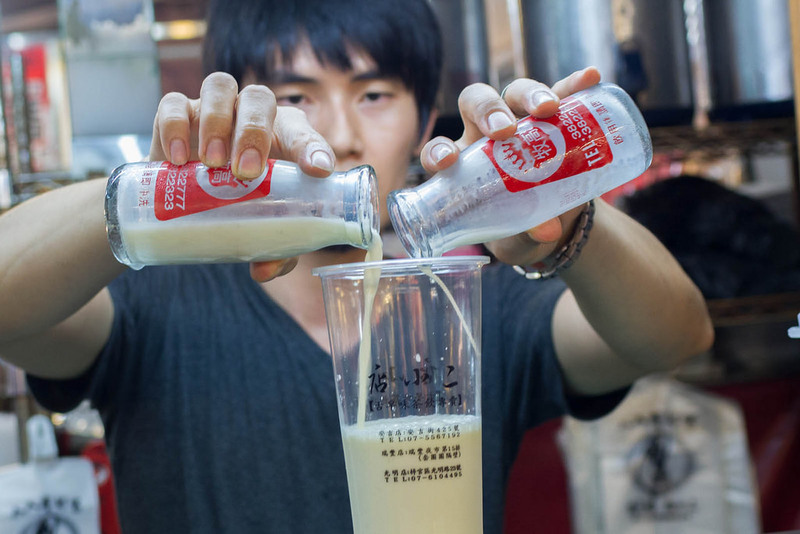 Sold for only NT$40, Dian Xiao Er’s most famed beverage is the black tea with double milk. Two bottles of milk are used to to really bring a thick, milky flavor to the accompanying smooth black tea. Recommended by neighboring street vendors themselves, Dian Xiao Er should definitely be on your list of stands to try at Ruifeng. So popular that numbered tickets are required for ordering, the Okinawa Fried Squid stand is surrounded by a perpetual crowd. There is even a small computer screen with instructions on how to order quickly and most efficiently. 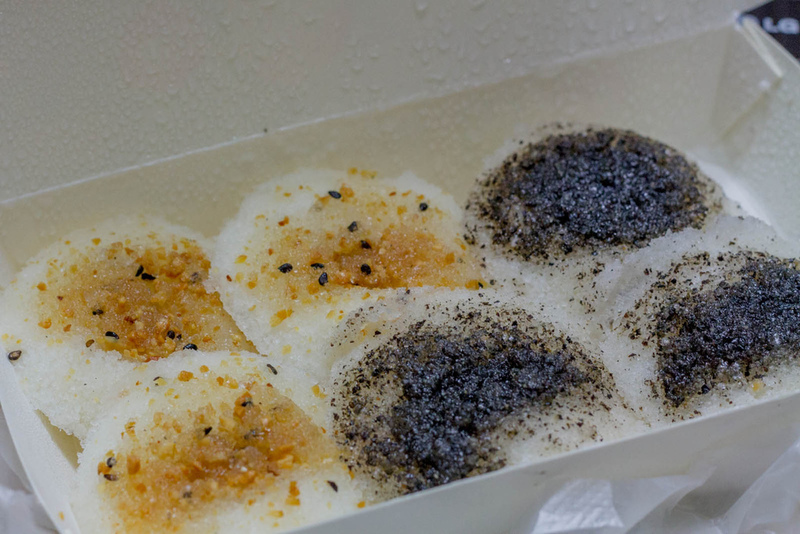 The stand has acquired quite a bit of fame, having won the title as one of the top 100 foods in Taiwan. 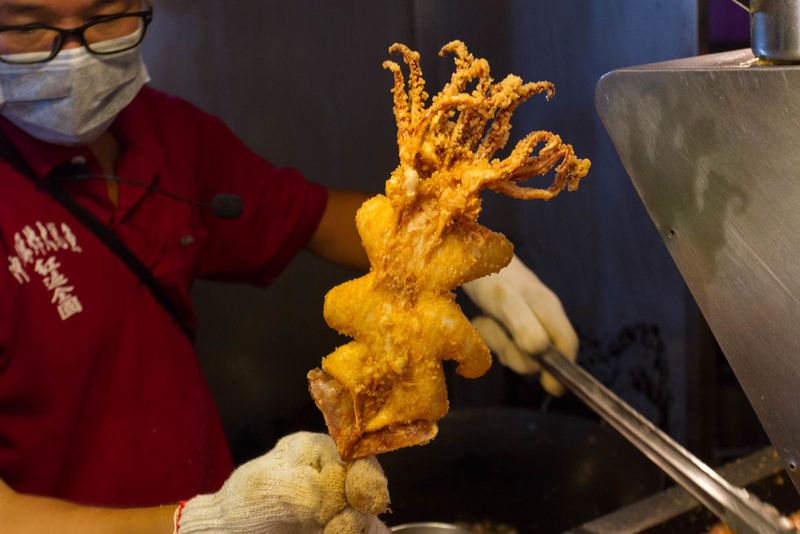 The fried squid can be held on a skewer or cut into pieces and placed in a box. Mouth-burning hot and yet mouthwatering, the Okinawa Fried Squid is a stand you won’t miss—and won’t want to miss—when you walk by. Another stand that requires number tickets, Myeong-dong Grandmother’s Korean Pancake is very popular among younger customers. 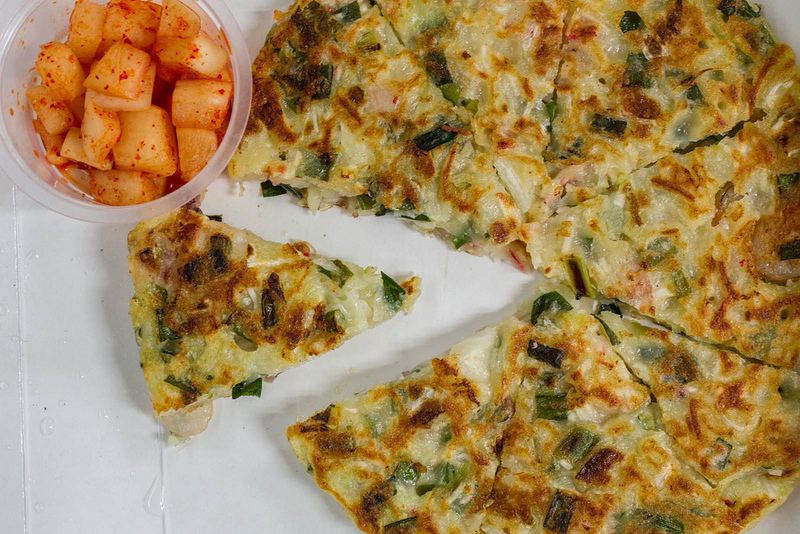 Offered in two flavors, Kimchi and seafood, the pancakes are thick and packed with flavor. The pancakes resemble a six inch pizza in both size and shape. The kimchi flavored pancakes come with a small box of spicy radishes, while the seafood pancakes include pieces of squid, crab, shrimp, onions and leek.